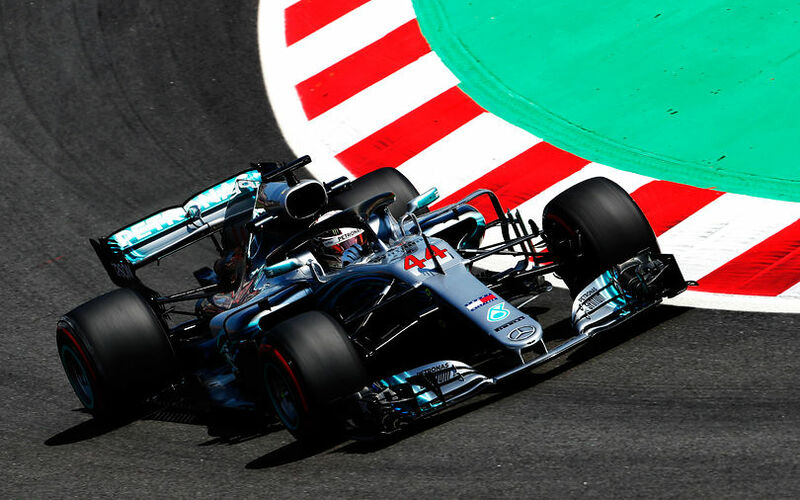 Lewis Hamilton and Valtteri Bottas were the fastest men in P3 at Barcelona. Though competition was close, both Mercedes proved to be quick on the soft and super soft tyres. Sebastian Vettel and his Ferrari team mate Kimi Raikkonen were next up when the session was stopped early due to a crash from Toro Rosso's Brendon Hartley. It was no longer a susprise that Mercedes were to be fast around here, especially after Friday's practice sessions. So, with the car already out of the bag, Valtteri Bottas was the first man to set a competitive time, soon below 1:17 for a lap around Circuit de Catalunya. Lewis Hamilton strung a lap together a few minutes later, went fastest in the second sector and subsequently fastest overall. With those early laps on the soft tyre, and Verstappen and Ricciardo going off, Vettel switched to supersoft 20 minutes from the end of the session to go 2 tenths faster than Hamilton's earlier marker. Just before that, Stroll had become the first man to end up in the gravel trap. The Williams continues to be a handful with poor balance leading to mistakes, and poor 19th and 20th fastest times. Or in fact, the slowest times. Bottas, and then Hamilton returned Vettel's favour to go faster again as Mercedes. Along with the struggling Williams, Grosjean continued to struggle with all sorts of items. He complained repeatedly about braking stability while also going off after being surprised by traffic at the very end of the session. At that time, traffic issues had become the norm until Brendon Hartley found himself in the barriers. With just 2 minutes left on the clock, the session was red flagged and stopped early. This leaves Mercedes ahead of Ferrari in this session while neither Red Bull really showed their pace.